Having a reliable internet is what most of us ask for especially if our job relies heavily on the internet to be able to get things done and to communicate with clients, prospects, or customers. When our internet connection is slow, it affects our performance and we’re not able to complete our tasks efficiently and effectively. This is what the Philippine Long Distance Telephone (PLDT) Company promises to deliver – To provide a reliable internet service for the various needs of Filipinos in the Philippines through their products and services. PLDT Home Fibr is their top of the line product if you’re looking for fast and reliable internet connection. And this is exactly the reason why many Filipinos, especially those with online businesses, want to have PLDT Home Fibr. The speed of PLDT Fibr Plan 1299 is up to 3 Mbps. The monthly subscription fee is P1,299. The modem and installation fee is P3,600 or P119 per month for 36 months. The speed of PLDT Fibr Plan 1699 is up to 5 Mbps. The monthly subscription fee is P1,699. The speed of PLDT Fibr Plan 1899 is up to 20 Mbps. The monthly subscription fee is P1,899. The speed of PLDT Fibr Plan 2899 is up to 50 Mbps. The monthly subscription fee is P2,899. This PLDT Fibr plan comes with FREE modem and installation fee. Note: For new Home Fibr subscribers, you can enjoy an even faster internet connection when you avail of this PLDT Fibr Plan 2899 because the speed is doubled for the first 6 months. Meaning, instead of 50 Mbps, it will be 100 Mbps. After 6 months, the speed reverts to 50 Mbps. 1. What is you goal? Why do you need an internet connection? Are you going to use it for your online business? 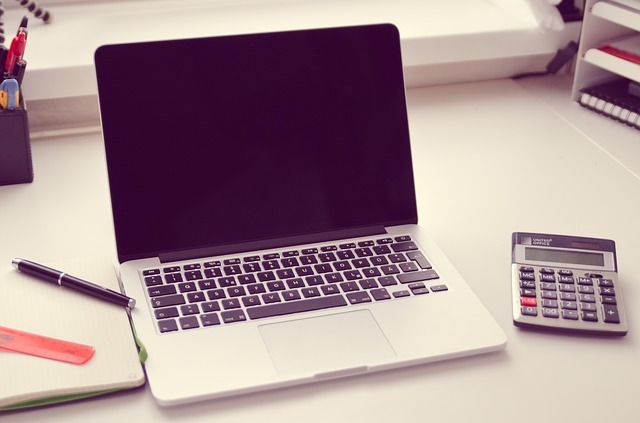 Are you going to use it for your freelancing career? Or are you going to use it just to browse your news feeds and manage your social media accounts? Knowing your goals will help you determine what PLDT Home Fibr plan is appropriate for you. If you only use the internet to check Facebook or Instagram, then you don’t need the fastest and most expensive plan. Just the basic PLDT Fibr 1299 plan will do. However, if you make or take calls from your clients regularly, or you make or watch video courses online, then you may need a higher plan to meet your needs. Now that you already know what plan you need, the next question is, how much is your budget? If you need the highest and most expensive plan, can you afford it? Is it within your budget for your internet connection? It is important to know your budget before your sign up for a PLDT Home Fibr plan because it is a long-term commitment. There is a lock-in period. You cannot just downgrade or cancel it anytime or when you can no longer afford to pay for it. For PLDT Home Fibr Plans, the lock-in period is 36 months or 3 years. So, make sure you consider your budget before you subscribe to any plan. 3. Is your location Fibr ready? You know what plan to get and you have the budget, but, is PLDT Home Fibr available in your area? PLDT Home Fibr is limited to selected areas and locations only. Before you can sign up for your PLDT internet subscription, they will check first if there’s still an available slot for you in your area. If there is, then good for you. However, if there’s no available slot or your location is not Fibr ready yet, then you may have to check other alternatives or wait until a new slot becomes available for you. How to Apply for PLDT Home Fibr Plan? You can apply for the PLDT Home Fibr Plan either by going to any PLDT office or kiosk or by applying online. 2. Select the PLDT Home Fibr plan that you want to subscribe to, then click Apply Now. 3. 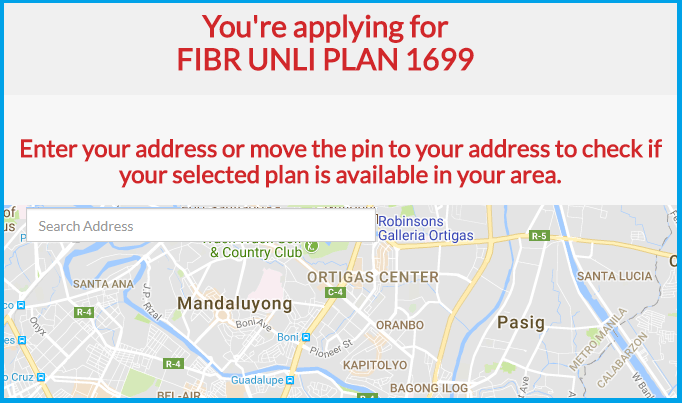 Enter your Location (complete address) to know if PLDT Home Fibr is available in your area. 4. Fill out the PLDT Home Fibr Application Form. When you apply personally, bring the original ID and at least 2 photocopies. For online application, just take a photo of your valid ID or scan it, then attach it as a document. 6. Review your application details, then click Submit. First, your application will be reviewed within 24-48 hours. Second, PLDT will verify if your location has PLDT Fibr Coverage and if there’s still an available slot for your PLDT Home Fibr connection. Third, after the verification process, an account officer from PLDT will contact you for confirmation. And finally, after confirmation, your modem will be installed within 5-7 business days. Note: In-house wiring set-up is not included in the installation of your internet service. Have your wiring provision ready before the installation of modem to avoid any delay. PLDT offers promos from time to time. To know the latest promos for PLDT Home Fibr, visit their website or click here: PLDT Switch Promo. Have you tried testing the speed of the connection? I’m wondering how much is the speed of Internet in the Philippines since I often see complains about how slow the connection is. For comparison, I tried speedtest.net in Canada. The download speed is 47 Mbps and 20 Mbps for the upload. In Tokyo, always on, never slow, 24/7/365 1Gbps Fiber-Optic, download speeds 80Mb/s and above, JPY3,240/month = P1,565/month. Filipinos are crazy to accept PLDT’s ridiculous prices for 1990’s speed and 1980.s service.